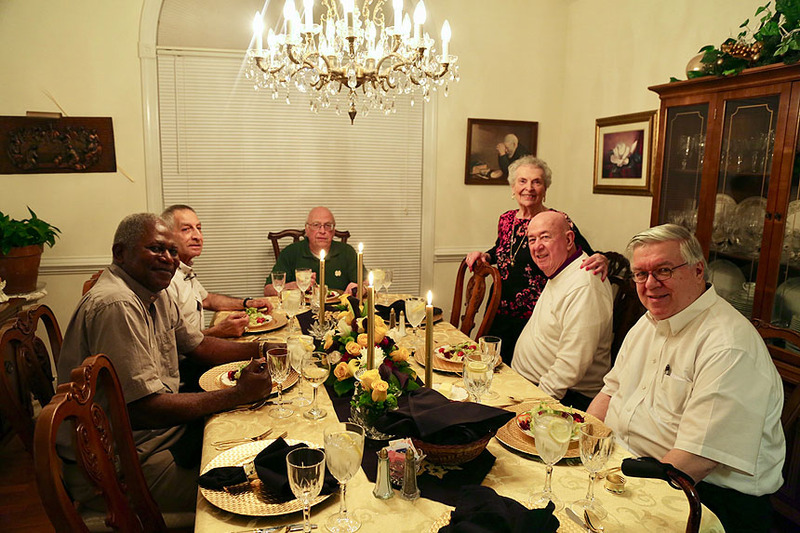 Care taker, meal maker: Fayetteville woman is affectionately known as "mother to the priests"
The doorbell at Rose Mary Semenza’s house is loud, and almost alarming. 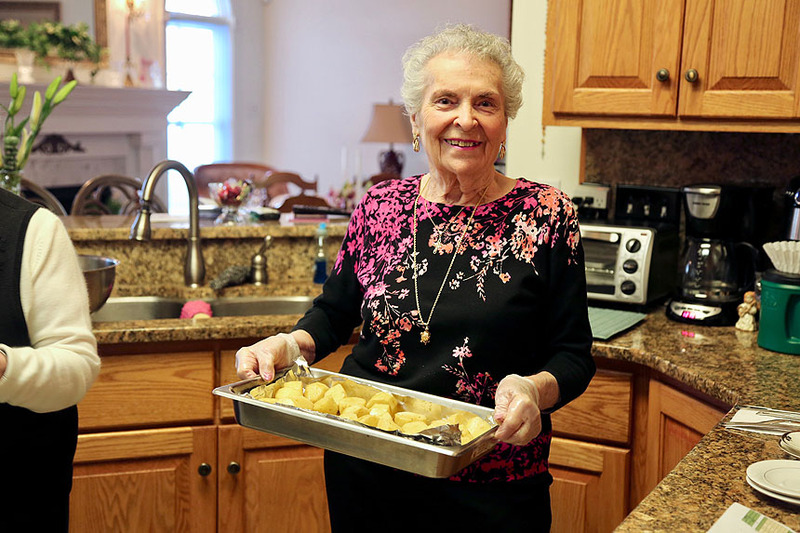 There’s little doubt, though, that Semenza, 86, made sure the volume was just right for her. After all, the Pennsylvania native, who has called North Carolina home for 67 years, wouldn’t want anyone waiting too long on her front porch. Making sure things are “just right” is kind of her superpower. In Semenza’s house, the ice cubes are cold, plentiful and served in a crystal bucket. At her table, the butter is room temperature and its knife sports a dull edge and rounded point. And, in her oven, the marinated pork is ready at 160 degrees. She knows. She has a thermometer. Her powder room has about 20 small, white towels for hand drying. Each is perfectly folded and sitting on the counter. A large blue and white bowl sits nearby to collect the used ones. In Semenza’s system, each person gets a fresh, fluffy towel. Details are important. Maybe she learned it as a young girl helping her parents and four older siblings prepare for dinner guests. Maybe she learned it as a young Army wife, stationed near Blackstone, Virginia, working in a store. Or maybe she picked it up during a 40-year career working in Fayetteville hotels and their restaurants. When meeting Semenza, one may get the sense that her timing and skills come from years of experience. She thinks maybe it was “inherited.” But her heart and drive to be “out there with the people”? Well … that definitely came from somewhere else. For more than 50 years, Semenza’s wooden spoon has been turning out special dinners for guests. And many of her favorite people to cook for are priests serving in the Diocese of Raleigh. 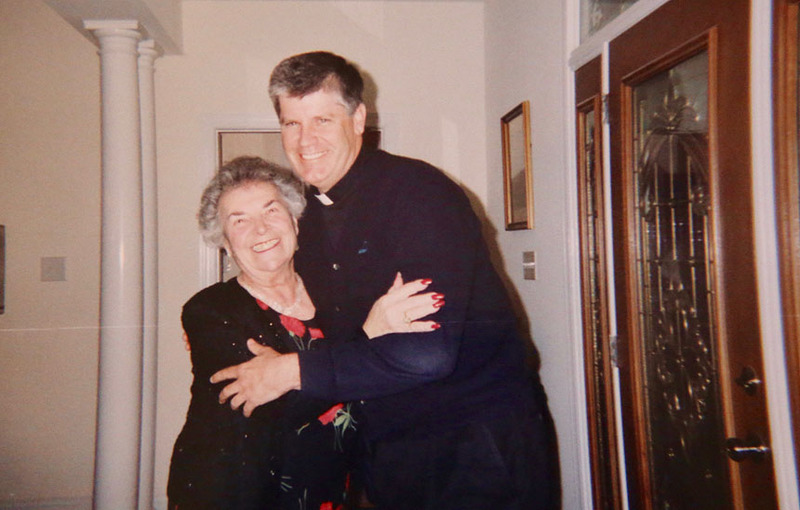 Her once-a-month, Sunday dinner tradition began in the 1960s, when she began preparing dinner for the clergy at her parish, St. Patrick. The meals were prepared and served in the rectory, or priests’ home. Later, the meals moved to parish halls. The usual crowd is about 10 priests, although she has hosted up to 28 at a time. In the early days, she often had one volunteer to help her with the meal. Today, that number has increased fourfold. Her helpers, of which O’Leary is one, seem to revel in the opportunity to learn from Semenza in her own kitchen. They know her rules of serving (give from the left, and take from the right), and spend a lot of their prep work time talking about their lives and encouraging each other. It’s a friendship that continues with the arrival of the priests, who are sometimes dressed in their clerics and other times dressed more casually. Father Sam Najjar, of St. Michael the Archangel Maronite Church in Fayetteville, agrees. He’s been attending Rose Mary’s dinners for 13 years and hosts the May dinner, which is more cookout than fine dining, at his home. He enjoys Semenza’s homemade tiramisu and baked salmon, but the time with others is his favorite part of the meals. 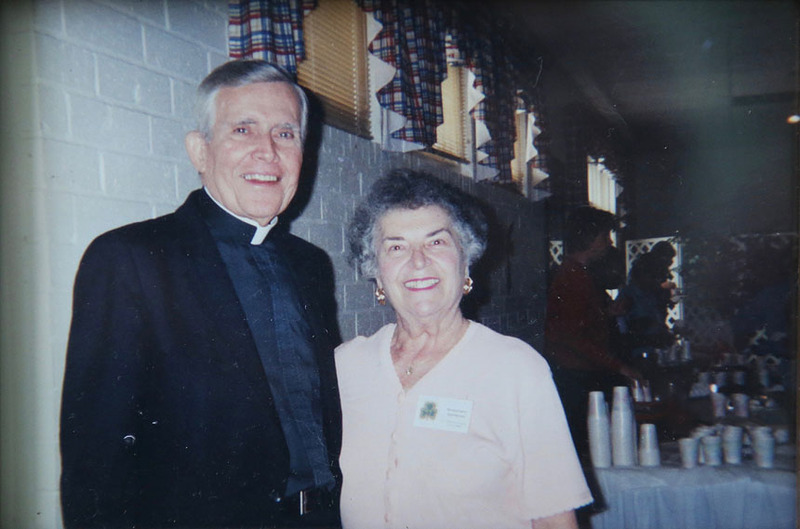 Father David Brockman, now a monsignor and vicar general for the diocese, first met Semenza in the 1990s and strengthened his friendship with her in 2004 when he became pastor at her parish. “Rose Mary has the gift of hospitality, undoubtedly. She also has great love for the priesthood. 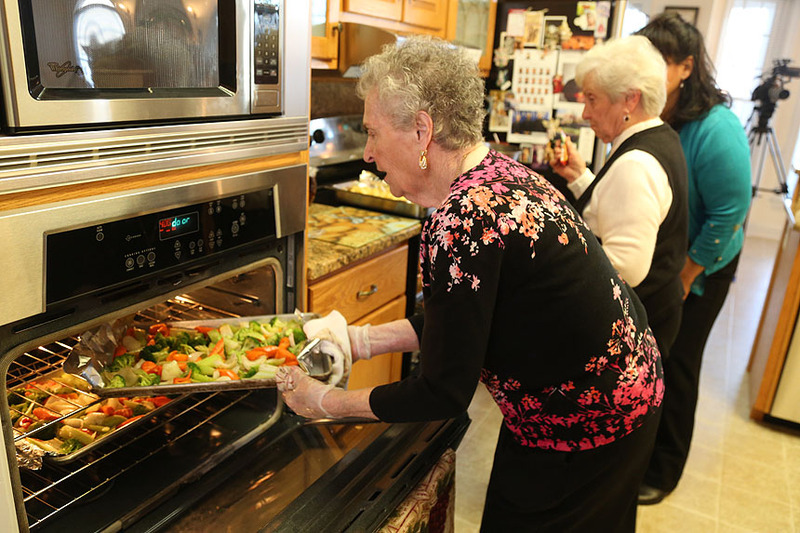 The dinners are her way of providing support to that sacred vocation,” Monsignor Brockman, who has attended at least 50 of Semenza’s dinners, says. 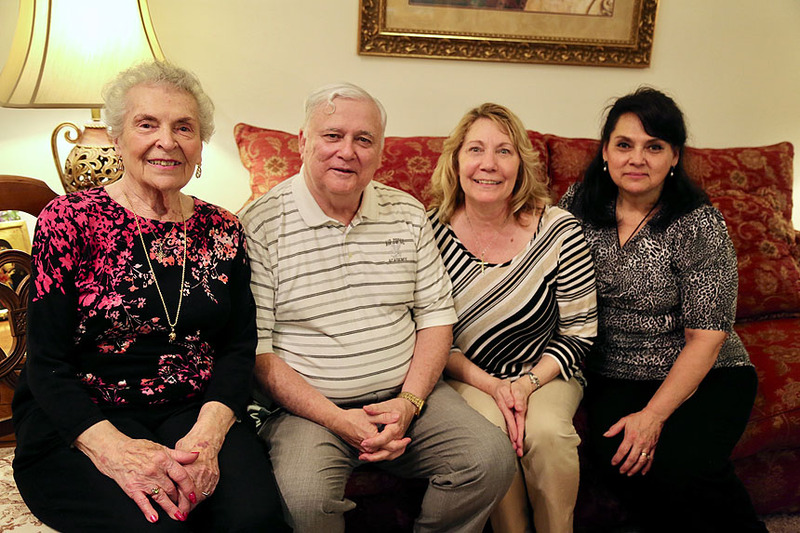 Not only does Semenza encourage clergy with her dinners, she previously hosted meals as fundraisers for the CARE clinic of Fayetteville, which provides healthcare to low income adults, and she regularly hosts a breakfast to thank her volunteers. In addition to the crew’s nickname, the CCC, Semenza’s house has one, too - the Villa Semenza, which she built at 75 years old and designed with dinner parties in mind. “She’s a great witness to the value of support for vocations that we can’t ever take for granted,” Monsignor Brockman says. 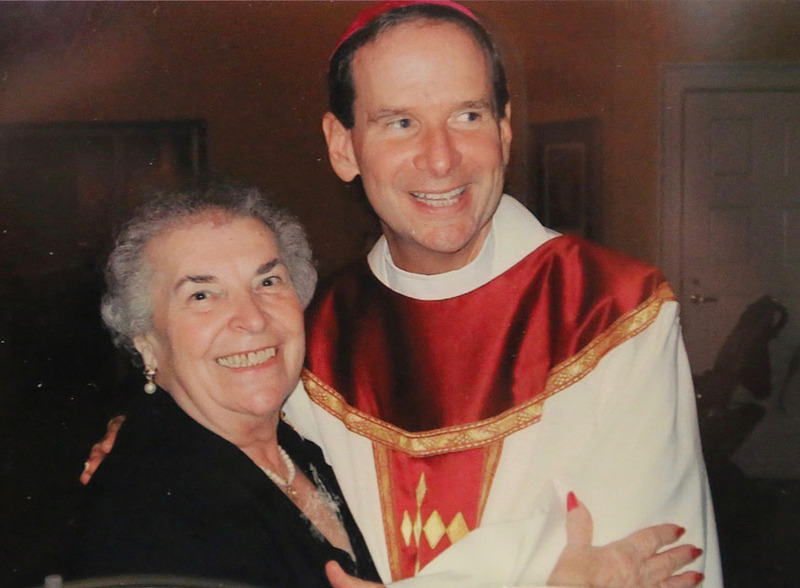 Semenza, who has no children, keeps scrapbooks, framed photos and photo books of those who have been her guests and friends, including four bishops.